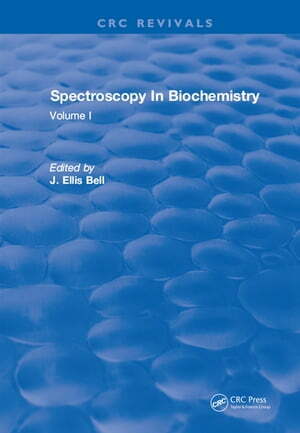 Collins Booksellers - Spectroscopy In Biochemistry by J.Ellis Bell, 9781351093729. Buy this book online. This book has been written in part with the aim of providing a text which will be useful in teaching the biochemical applications of spectroscopy. This book will be of particular use to the biochemist or biologist who does not have a background in spectroscopy, but desires to find out what sort of information spectroscopy can provide. Attention was limited to those techniques most frequently used, and which at present have the widest applications.